BEAUFORT – One of the more unique museum concepts in recent coastal North Carolina history appears to be rapidly coming to fruition. Keith Rittmaster, natural science curator at the North Carolina Maritime Museum in Beaufort, said late last month that he is confident that the building to house the Bonehenge Whale Center will be completed, although not necessarily open, sometime before the end of 2018. The facility, now occupying a trailer in Beaufort, will be a home base for research, exhibit preparation and display, marine conservation, educational programming, outreach, publications and stranded specimen collection and maintenance that focuses on North Carolina cetaceans, or aquatic mammals. The term “Bonehenge” was conceived in 2009 to represent a volunteer-built pole barn, a fundraiser and a website dedicated to the bone preparation and skeletal rearticulation of a 33.5-foot-long male sperm whale that stranded and died at Cape Lookout in January 2004. That skeletal display, named Echo, was completed in March 2012 after years of painstaking work by Rittmaster, and is on display at the Maritime Museum. But that one whale skeleton, challenging as it was to piece together and prepare for display, is nothing compared to what Rittmaster is planning. 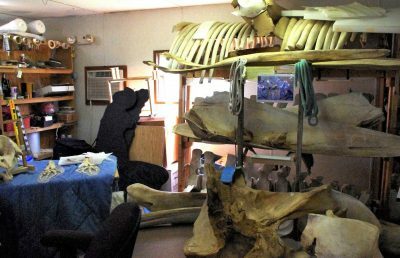 He wants to display skeletons and other artifacts to represent and teach others about all of the 34 cetaceans – whales, dolphins and porpoises – that inhabit North Carolina waters, either year-round or intermittently. 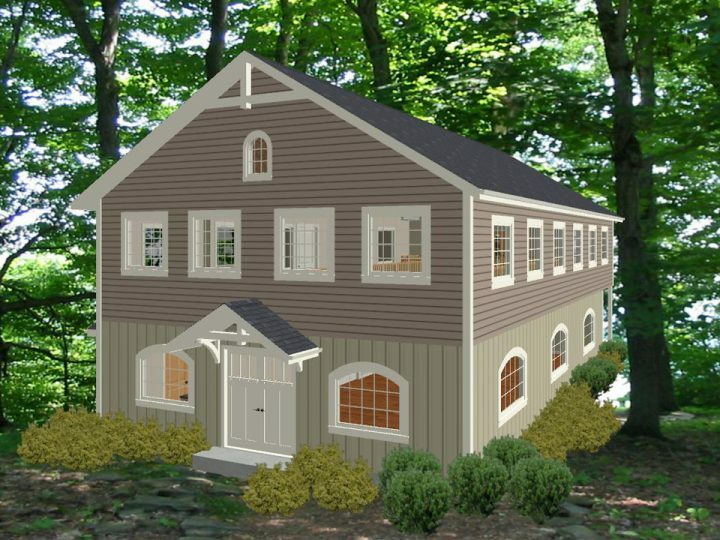 The planned building on West Beaufort Road is being entirely financed by donations. And what gives Rittmaster such confidence about a 2018 completion date is that in just a few months, the Bonehenge website has generated more than $80,000 in contributions toward construction of what is expected to be a $300,000 building. There’s been at least one $25,000 donation, and one for $15,000, plus many smaller ones. What makes folks want to donate large sums of hard-earned money to a museum for whale and dolphin bones, among other things? One of the renderings shown on the Bonehenge website represent concepts being considered for a new building to house the collection. It varies from person to person and group to group, of course, but Rittmaster said that for many, there’s a common thread: personal experience. One donor became excited because she took part in the effort to put together the skeleton of the sperm whale. “She told me she loved being part of the team that made that happen,” Rittmaster said. “She said it was great to be a part of something that was bigger than anything anyone could have done individually” to display the skeleton of such a majestic creature for all to see. Others have been moved by experiences of seeing whales on cruises, or just seeing dolphins frolicking in waters, or by participating in local efforts to save stranded cetaceans. Rittmaster recalled the incredible community effort years ago to try to save “Benny,” a dolphin that was stranded on a Carteret County beach and ended up in a tank at the National Oceanic and Atmospheric Administration fisheries lab on Pivers Island in Beaufort. Countless people helped, whether by bringing food or providing comfort to Benny in the tank. It’s not unlike how Rittmaster came to enter his unusual career. 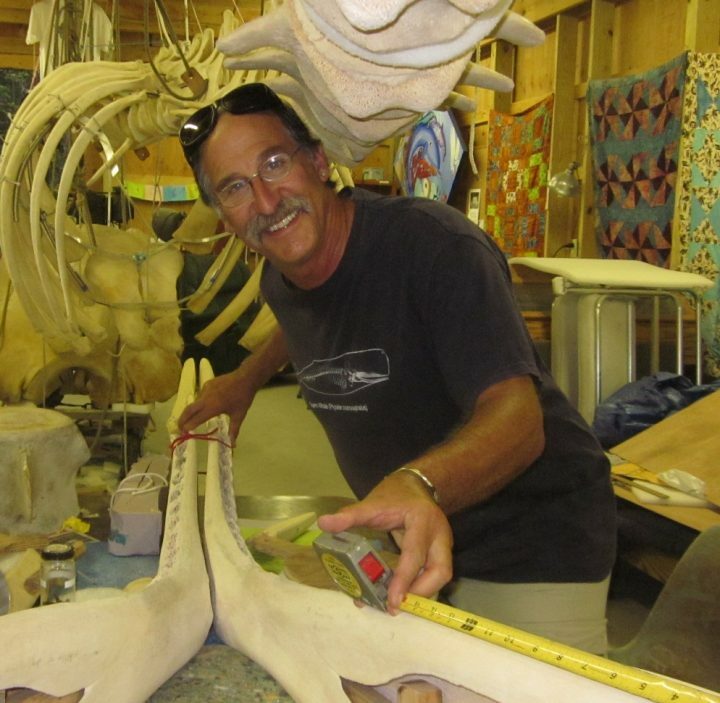 As reported here in September 2016, Rittmaster, now 61, while growing up in Princeton, New Jersey, never expected to wind up putting together dolphin and whale bones. It all changed in 1975, according to that article, when Rittmaster, then 17, moved to Buxton on the Outer Banks. He started surfing among dolphins and saw his first whale stranding. It was a life-changing event. He eventually met his wife-to-be-and-still, Vicky Thayer, the central coast marine mammal stranding coordinator for the Marine Mammal Stranding Network, in grad school at Duke University. Since 1985, according to that 2016 article, Rittmaster, Thayer, and others have collected bottlenose dolphin fin photos. Rittmaster said around 4,000 photos, representing about 1,200 dolphins, have been added to an online database that allows people to help match the fin photos, and in turn, lead to discoveries in bottlenose dolphin migrations, associations, genetic stocks and birthrates. Federal fish biologists use it to learn about the genetic pools of bottlenose dolphin populations. Humans, Rittmaster said last month, have a deep connection to these creatures – whales and dolphins – after encountering them, whether in the wild, from a distance, or up close and personal in captivity. And he thinks Bonehenge will only strengthen that connection, and make people want even more to save the marine mammals that are threatened by pollution, fishing nets, ship strikes and other dangers. He wants people to feel that connection, not just figuratively, from a distance, but physically, by touch, at Bonehenge. That, Rittmaster said, is how to make the emotional connection to these majestic creatures, usually seen on television or at a distance from a cruise, even more personal, to make people want even more to save them. Bonehenge is to be open to the public of course, and free. It’s going to be for visits by those who are interested, from students to adults. Rittmaster envisions a slow start, with some set hours, but he lives nearby, and said he can and will open it up on demand. In fact, he looks forward to that. The idea is not that it’s separate from the museum, but more of an adjunct to it. Rittmaster said he was advised from the beginning that it would be a long and arduous process to make Bonehenge a reality if he and the others involved sought to make it a state project. State involvement necessitates countless bureaucratic hurdles not only for property acquisition, but for curating. So it will stay, at least in the beginning, a nonprofit, private organization. He’ll remain a maritime museum employee and continue his other important work, among it that rearticulation, putting bones back together. He buries locally stranded or donated marine in a “graveyard” near his trailer office on West Beaufort Road, close to the Maritime Museum’s Gallants Channel Annex. After a few years, time enough for the flesh to decompose, he digs them up and gives them to interested researchers. Or sometimes, if the specimen is especially unique, he makes displays. He works with a variety of people on these projects, including “volunteers, students, colleagues, co-workers, family, experts, and sometimes even people off the street,” he said in 2016. He wants to keep doing it. The Bonehenge building effort really began in early 2017, when volunteers and donors collaborated with Rittmaster to purchase land on West Beaufort Road. The land is now owned by the charitable nonprofit Carolina Cay Maritime Foundation. 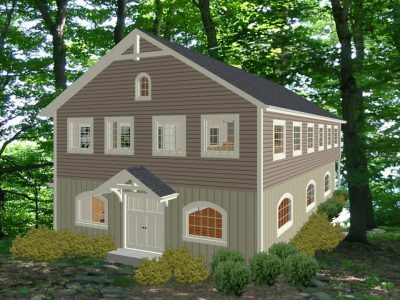 Rittmaster said he’s had numerous offers to help with the project gratis, things like landscaping and interior lighting and architectural designs. But he wants to pay for the actual construction of the building through the fundraising effort, in part because he wants a local contractor to do the job and get paid for it. It’s important to him. Needless to say, Rittmaster is excited. He currently has his office in a trailer, with no running water, on an otherwise empty lot near the eventual building site. It’s crammed with books, dolphin photos, marine mammal bones, tooth molds and monofilament fishing line – a huge problem for marine mammals – not to mention the bones of Pitfall, a 37-year-old female humpback whale who died years ago from a ship strike. For example, there’s a skeleton of the very rare Gervais’ beaked whale hanging in the state-owned Jennette’s Pier in Nags Head; Rittmaster would love for it to have a home in Beaufort. He believes it is all very important; with some whale species and other cetaceans threatened with extinction, it’s crucial for the public to learn about them and make that emotional connection necessary to make a real commitment to saving them. He admits he’s been surprised by the outpouring of support for Bonehenge. But again, it’s similar to that effort to help Benny years ago; it’s a grassroots effort, Rittmaster said, born of an emotional attachments by people who recognize the importance of saving species that we might not see every day, but to which we relate. It’s akin, one might say, to the formation of teams of volunteers who prowl beaches all over the world, including Carteret County, to make sure that sea turtles nests are not disturbed and that turtle hatchlings can make their way to the sea. “People care, and they are concerned,” Rittmaster said. And he thinks Bonehenge will serve to heighten awareness and concern. “I can’t wait for this to happen,” he said. To donate, or to help make Bonehenge a reality in other ways, visit bonehenge.org or call 252-528-8607.